"This outstanding 73 minute in-concert programme, shot live at the Tivoli Concert Hall Copenhagen on 7 March 1989, features a mega collection of Roger's smash hit singles..."
Producer: John Anderson. Director: Ian McGarry. The Last Farewell sung by Roger Whittaker. Video from YouTube. 3:12 min. Provided with comments by cdhurley1977: "Roger Whittaker's last performance from the Tivoli show. This song was a poem written about the Hundred Years' War between England and France. It was the "runner up" in a song writing contest Roger sponsored. He put music to it and created his only American hit song. A wonderful marriage of words and music!" Albany (1982) sung by Roger Whittaker in German, video from YouTube. 2:50 min. Provided by fritz2351 with complete song lyrics in German: "Albany, hoch in den Bergen von Norton Green, Albany, in deinen Mauern war ich einst zhuause, Albany, Schloss meiner Väter, das ich geliebt, ach, könnt' ich dich nur einmal wiedersehen..."
Both Sides Now sung by Roger Whittaker in concert, video from YouTube. 3:53 min. Provided by cdhurley1977: "Live performance of the Joni Mitchell Composition." 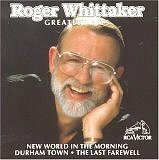 Durham Town sung by Roger Whittaker in concert, video from YouTube. 2:53 min. Provided by cdhurley1977. Elizabethan Serenade - Roger Whittaker signature whistle in concert, video from YouTube. 2:14 min. Provided by cdhurley1977. I Don't Believe In If Anymore sung by a youthful Roger Whittaker - Video from YouTube. 2:59 min. Provided by cdhurley1977. In German: Abschied ist ein scharfes Schwert sung by Roger Whittaker - Incomplete video from YouTube. 2:56 min. Provided by wjhmosa. The Last Farewell - Lyrics with Guitar Chords from JumboJimbo.com. The Last Farewell sung by Roger Whittaker in concert, earlier version - Video from YouTube. 3:26 min. Comments by cdhurley1977: "Performance with the Edmonton Orchestra in Canada from the 1970s?" 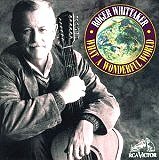 New World in the Morning sung by Roger Whittaker in concert, video from YouTube. 2:24 min. River Lady sung by Roger Whittaker in concert, video from YouTube. 2:29 min. Provided by cdhurley1977. Roger Whittaker Mexican Whistler - Sound from YouTube. 1:52 min. Comments by notbad86: "Roger Whittaker Mexican swinging sixties 60s." Roger Whittaker pfeift - Funny clip from YouTube. 3 seconds. Roger Whittaker and Brandy (Dog) - Casual home video from YouTube. 1:24 min. Sloop John B sung by Roger Whittaker in concert, video from YouTube. 2:42 min. Provided by cdhurley1977. Try to Remember whistled and sung by Roger Whittaker but with images selected by provider, from YouTube. 5:02 min. Provided by arthurb. Try to Remember - Lyrics from Sound Track Lyrics Source #1. Whiskey in the Jar sung by Roger Whittaker in concert at Tivoli, from YouTube. 2:20 min. Provided by cdhurley1977. Deutsche Roger Whittaker Fan Page - in German. Willkommen auf der deutschen Roger Whittaker Fan Page! 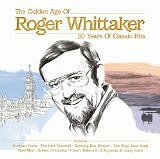 Special: The Golden Age of Roger Whittaker - 50 Years of Classic Hits. Listen to music clips. 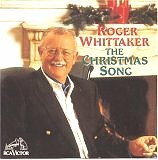 iLike Artists: Roger Whittaker. Official iLike Page. Popular music videos, Most played songs, Albums. Jango.com - Roger Whittaker Music. Songs, pictures, videos. Reunion + Roger Whittaker Concert Toronto 25th March 2004. Photos supplied by Dave Burn. Roger Whittaker from Country Music Television (CMT). 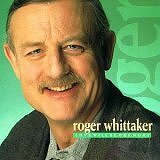 Roger Whittaker, the Artist: Biography, Discography, Message Board, Albums. Roger Whittaker from Google Music. Roger Whittaker Coming to Radio 2 in the UK. .
Roger Whittaker from We7. 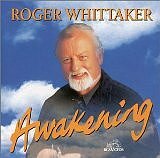 Listen to Roger Whittaker Music. Roger Whittaker from Wikipedia, the free encyclopedia. 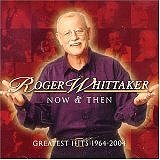 Roger Whittaker Albums and Songs from MP3.com. 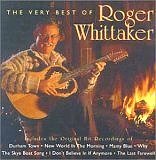 Site offers legal Roger Whittaker music downloads as well as Roger Whittaker music videos. 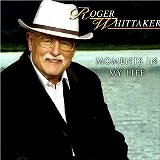 Roger Whittaker Biography from AOL Music. Roger Whittaker Charts. Top 100 Charts. Music at Last.fm. Roger Whittaker Fan Network - By and for fans of Roger Whittaker. Contents include: News, Roger Whittaker Biography, CD-catalog, Interviews, Sightings, Quizzes, Links, and Stats. Roger Whittaker - IMDB. From Internet Movie Database. Alternate Names: Roger Whittaker & Des O'Connor. Filmography as: Actor, Soundtrack, Self (as himself), Archive Footage. Roger Whittaker: Live at Tivoli (1997) from New York Times. 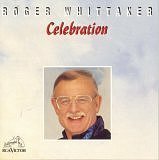 Roger Whittaker: The Celebration Concert (1993). Roger Whittaker in Kenya (1982). Roger Whittaker: Prime Concerts - In Concert with Edmonton Symphony (1976). Roger Whittaker Lyrics. 13 albums, 70 song lyrics from allthelyrics.com. 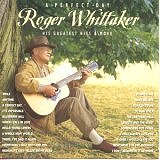 Roger Whittaker Lyrics from MP3 Lyrics Organized. 21 songs. 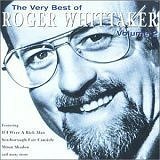 Roger Whittaker in Pop Vocal Music from BizRate. Compare products, read reviews, and compare prices. Roger Whittaker on Rhapsody. 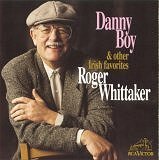 Roger Whittaker Featured Tracks (U.S. Only). Whittaker Would Rather Laugh. Tsunami-inspired song - a sombre exception to singer's usual upbeat program - Article by Roger Levesque, Special to The Edmonton Journal, November 28, 2005. Concert Preview: Roger Whittaker's Hits & Christmas Classics. Brief excerpt from Levesque's article:"The singer with the world-renowned bass voice was in Bangkok with his wife ... when a tsunami hit southern Thailand and other parts of southeast Asia, taking a disastrous toll on human life in its wake. He cancelled the rest of the tour and sat down in his hotel room to try to absorb the horror of what was happening only a few kilometres away as he saw it on television. From that experience came a song, 200,000 Souls, named after the estimated number of lives lost to the tsunami. The song is still selling as a charity single to raise money for the victims ... (see The Official Roger Whittaker Website)." 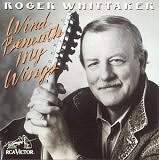 Please go to Roger Whittaker Music Catalog to view many more albums (numerous songs sung in German) by Roger Whittaker at The Official Roger Whittaker Website.